Released last year, CNTRL: R is a collaboration between Livid Instruments and Richie Hawtin, head of music label Minus. There are only a handful of reviews of this controller online. And since they all explore the technical aspects quite thoroughly, I decided to approach my review a little differently. What I could not find online were people&apos;s first impressions about how it wrangles the 4 decks of Traktor Pro using the controller&apos;s premium mapping. CNTRL:R is something like the traveling laptop musicians&apos; swiss army knife controller. Hand crafted and made in the U.S.A. it has a symmetrical layout that appeals to the digital DJ who doesn&apos;t need jog wheels. It has 48 Multicolor LEDs for the pads and rotary encoders. CNTRL:R is also expandable, and you can daisy chain more livid controllers onto it. Its 32 pad layout along the bottom section also appeals to producers accustomed to programing beats via step sequencing. 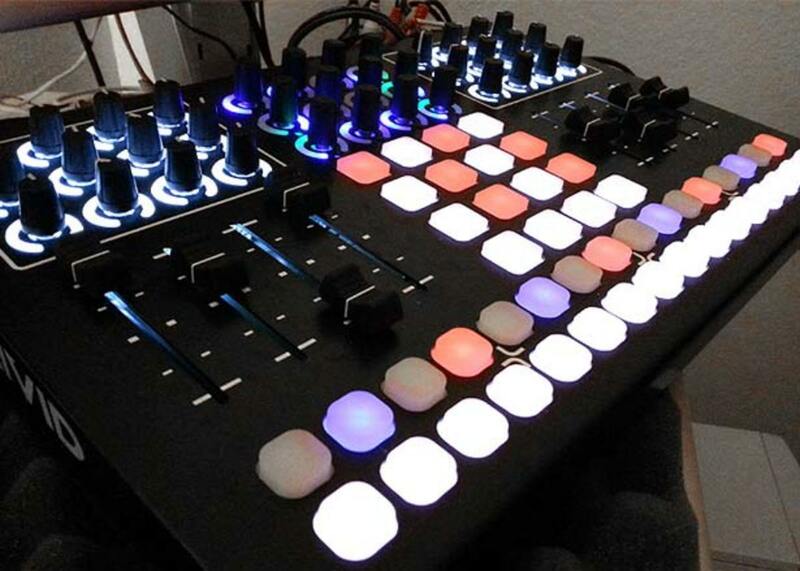 With a 4x4 grid of trigger pads near the center, this device can also handle clip launching duties for Ableton DJs. CNTRL:R will also handle 4 decks and 4 fx with ease, in addition to doing double duty as a drum machine and mini clip-launcher for Ableton Live. As with most controllers, all of its buttons, lights, faders, and knobs can be re-mapped to accommodate a customized work flow. All the controls on this thing are nice and smooth, making it well suited for mixing long techno sets. However, those that prefer loose, flick-able faders might find this a deal breaker. For a very rough comparison, the controls feel more Xone-like, and less Pioneer DJM. The group of knobs above the channel faders do not have a center indent, but have a raised marking on the 12&apos; o&apos;clock position. The set of knobs in the top center section of CNTRL:R are actually push down rotary encoders that handle monitor, browser, looping and filters for all 4 decks. 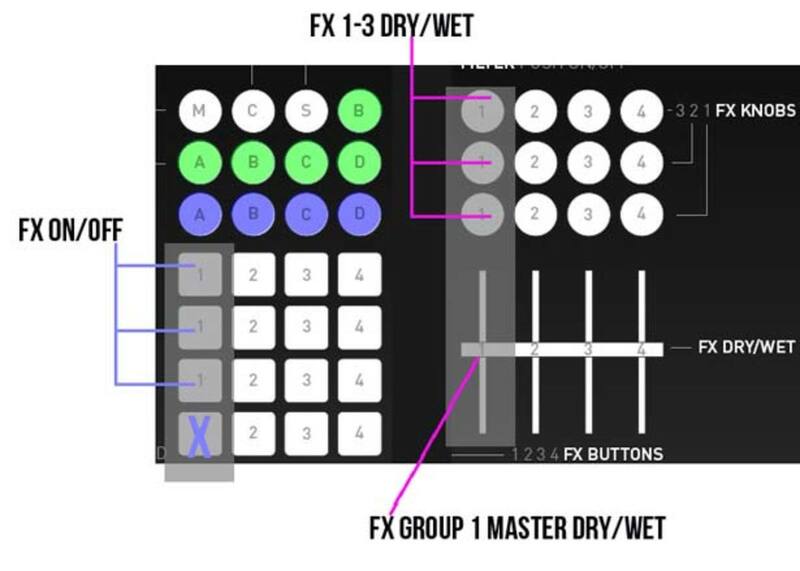 The 16 pads below the group of rotary encoders, and the entire right section of knobs and faders are dedicated to fx control. As noted in other reviews, the CNTRL:R ships out pretty sparse. Basically, its just the controller, and a usb cable, and you will need visit the livid website to download the appropriate scripts and mappings via the controller apps page. The traktor4x4.com mapping unfortunately costs 5 dollars to download; and this is on top of the purchase price of the controller. However, if you&apos;re not the mapping wizard, and not fond of some of the convoluted, glitchy free user mappings out there, then starting off with the 4x4.com mapping will save you tons of headaches in the long run. It also makes an excellent starting point to customize your own mapping. Recently, I had an opportunity to test this set up at one of our 6AM Group residencies in the Gallery Room of Exchange L.A. The amount of time I spent learning CNTRL:R was about 1 week, so here goes my first impressions regarding it. I hooked up my 2 channel soundcard and plugged into an open channel on the club&apos;s DJM mixer. Technically, the equipment and mapping worked flawless. The LED lighting definitely helped with visual referencing as to what was turned on and off. However in a performance situation, I realized it was very easy to accidentally press the wrong deck controls due to the spacing of the pads. If I didn&apos;t constantly look at my hands to make sure my fingers were on the correct pads, I would mistakenly press play on one deck thinking it was the load button for another. 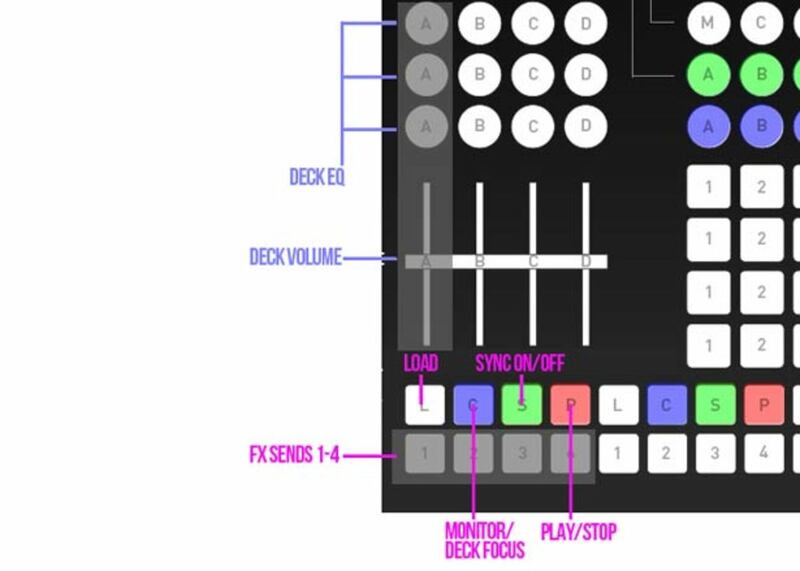 I can imagine a worse case scenario where a user mistakes the play/stop pad on a live deck for the load button on the next deck. The lack of line level indicators also had me gazing at my screen often to check on the status of things. The mapping, lights and the layout of the controller is very logical, so there isnt a need to label things due to these factors. Its more of a muscle memory work flow that becomes very intuitive w/ some practice. 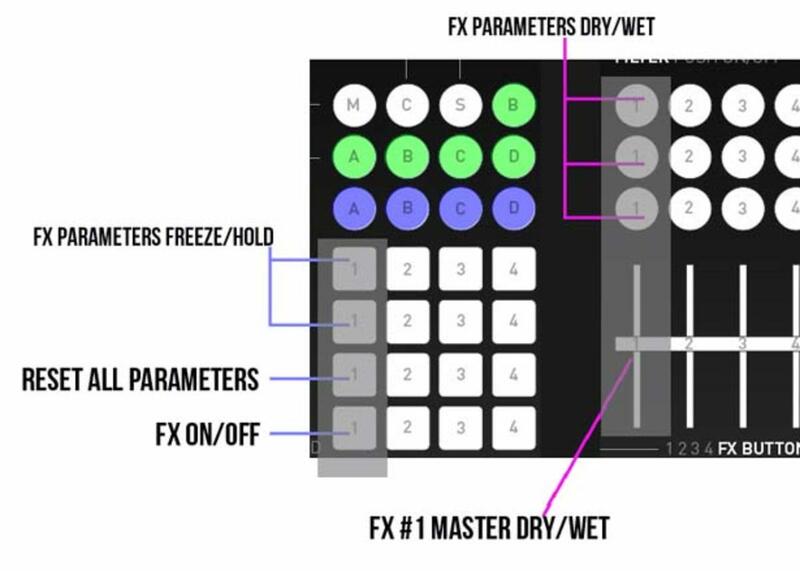 Compared to mixing on CDJs, I see this controller method more like an alternative way of mixing, rather than a complete replacement set up. 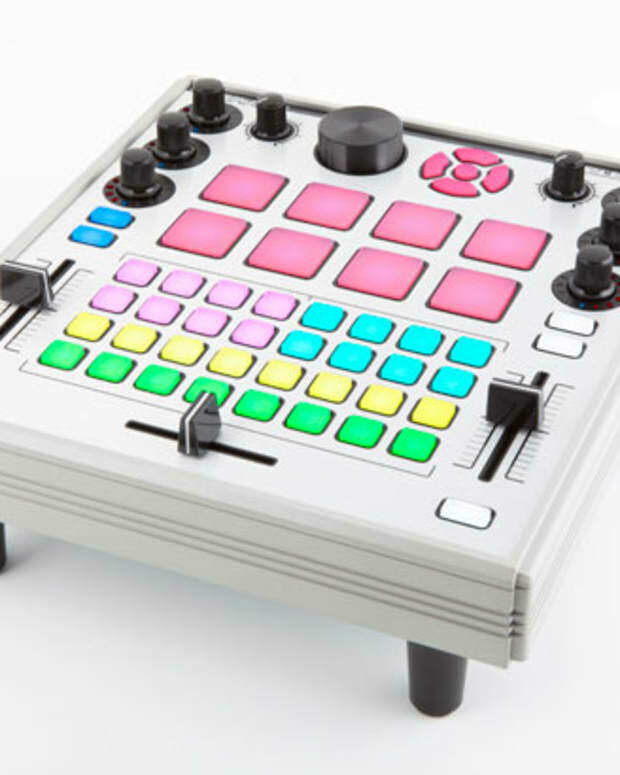 Digital DJs / Controllerists (Specifically those who don&apos;t require jog wheels for scratching): The amount of knobs, faders, and pads makes this device perfect for button smashing, fader cutting controllerists. However, the tight spacing of controls may limit users who lack in finger dexterity. In addition, the faders may be too tight for those accustomed to the flick-able controls of scratch mixers. But with a decent 2 channel sound card, you are basically ready to rock straight into one open channel on the house mixer. Conversely, if you have a multi channel soundcard and want to free up some real estate on CNTRL:R, you can send up to 4 decks out; cue and eq on the club mixer and remap CNTRL:R&apos;s mixer knobs to handle other functions. 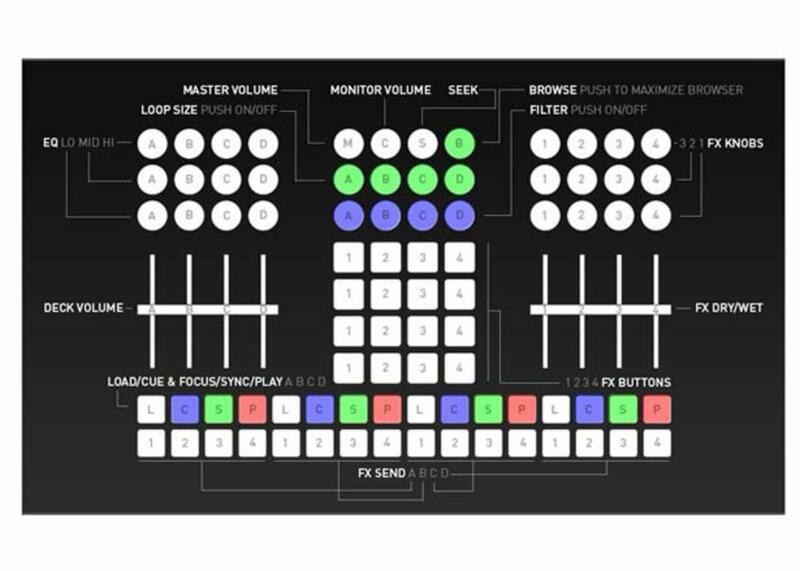 Producer-DJs/ Laptop Performers/ Traveling Digital Musicians/ Ableton-DJs: CNTRL:R&apos;s grid pad layout handles your clip launching needs for Ableton Live and the bottom rows of pads should take care of your sequencing needs (Livid has a free Ableton DJ script for CNTRL:R, but we have not tested it yet). 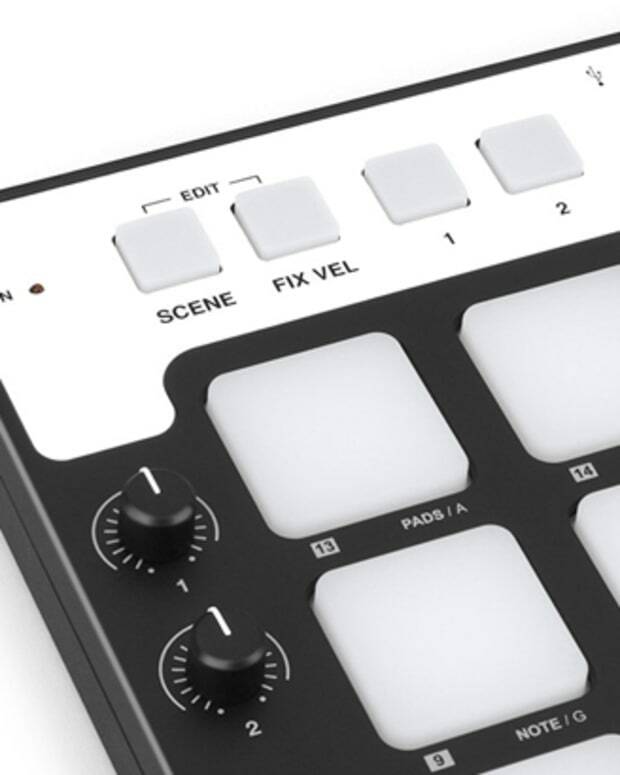 Although controllers such as the Akai&apos;s APC 20/40 and Novation Launchpad has more pads for proper clip triggering, they compromise in the amount of available knobs and rotary encoders. While CNTRL:R seems specific for Traktor Pro and Ableton Live, the symmetry of design, plus its class compliant status makes it workable for any DJ software or DAW- the caveat being that you have to get into custom mapping to realize its full potential. Class-compliant: no drivers needed for Mac, Windows, or Linux. Include the Traktor4x4.com mapping into purchase. While the pricing on this unit may be turn off to potential buyers with a limited budget, a savvy shopper could piece together a 2 channel sound card w/ Traktor Pro and this controller for a price point that sandwiches it between a new Traktor S2 and S4; but closer to the S4. What you sacrifice is the convenience of Traktor&apos;s own proprietary gear, but what you gain is the flexibility to control other things besides Traktor, plus you get some more faders and rotaries due to the absence of the jog wheels. In a performance situation, the easy looping functions, one layer mapping, generous fx controls, led lighting and symmetrical design gives you the necessary controls to get creative in Traktor while still having ultimate control over when songs end, break down or transition. For handling Traktor Pro, CNTRL:R goes a long way to help you juggle 4 decks, loops and fx in the darkness, with party lights flashing in your face.